Betties N Brimstone: Getting my RED on! 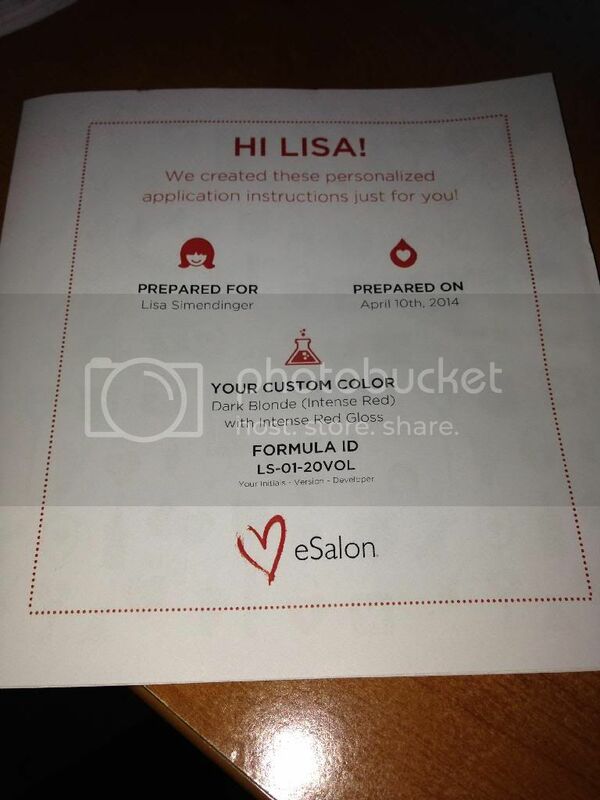 I wish I could remember when or where I first found out about eSalon, as it has saved my hair for the last year. I used to go to an awesome salon in Chicago, but being in the 'burbs and having a two year old has made it really hard to get to my salon for color. I was using Feria or making my own mix up from things I found at Sally's (and no, I am not a stylist - I just like to think that I know what I am doing). Those products worked just ok, but did not really last. When I found eSalon I was done - it's that fantastic! What you do is go on to the site and answer a bunch of questions about your hair type, color desired, grey percentage and more. You even can submit a picture of yourself with the color you want, or a photo of the desired color. 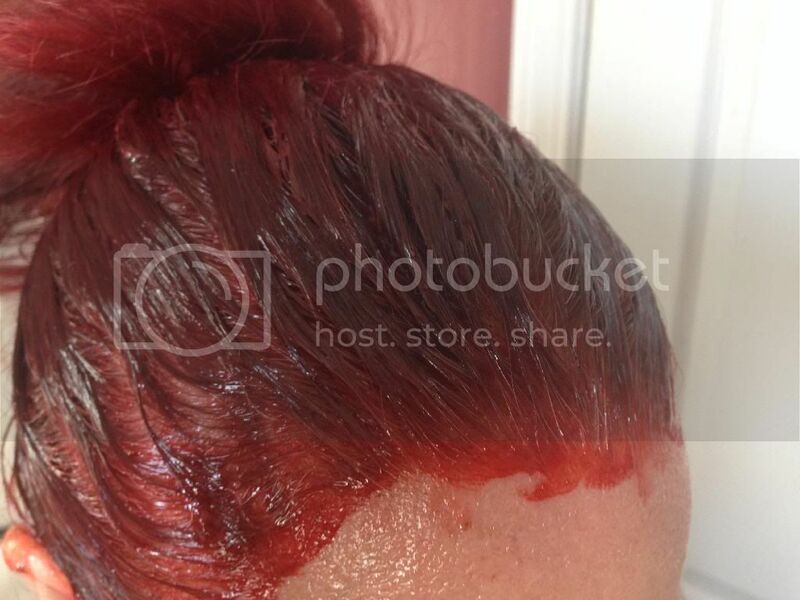 Then, they take all of this information and a professional colorist makes your product. Every four weeks I get shipped my root color, end color, 2 sets of gloves, stain protector and remover and a small shampoo and conditioner. Everything you need is there! I am lucky enough to have Shane do this for me as coloring the roots just right can be tough but I can imagine a savy chick can do this on their own. The process is pretty quick and only costs around $30 for every box. More than Feria but MUCH less expensive than the salon. 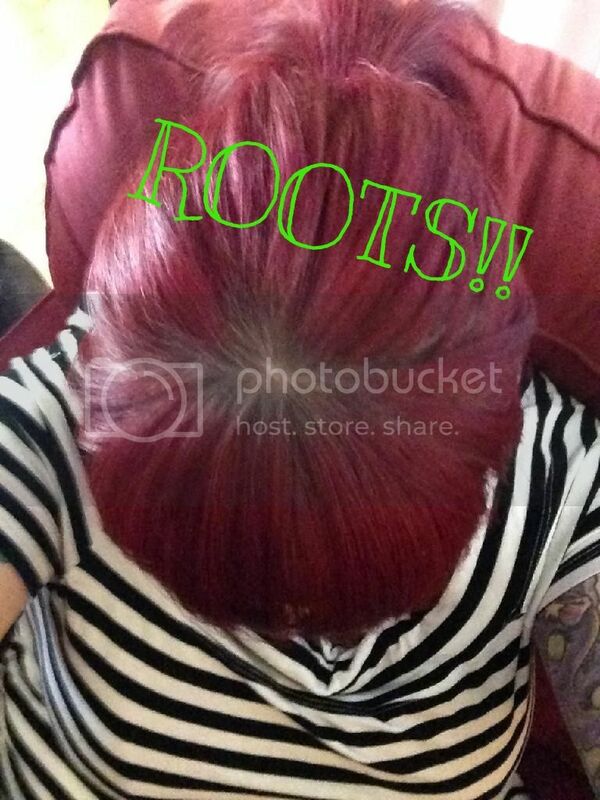 Here we can see my "lovely" roots...EEEEEEEEEK! I cannot believe I am showing my grey all over the net! First stage! Root touch up. You let this sit for 20 minutes or so and then do the entire head with the next bottle. All the information that you need is in this cute little note. eSalon even has added a root touch up product and full sized bottles of their shampoos and conditioners to help you extend your color. 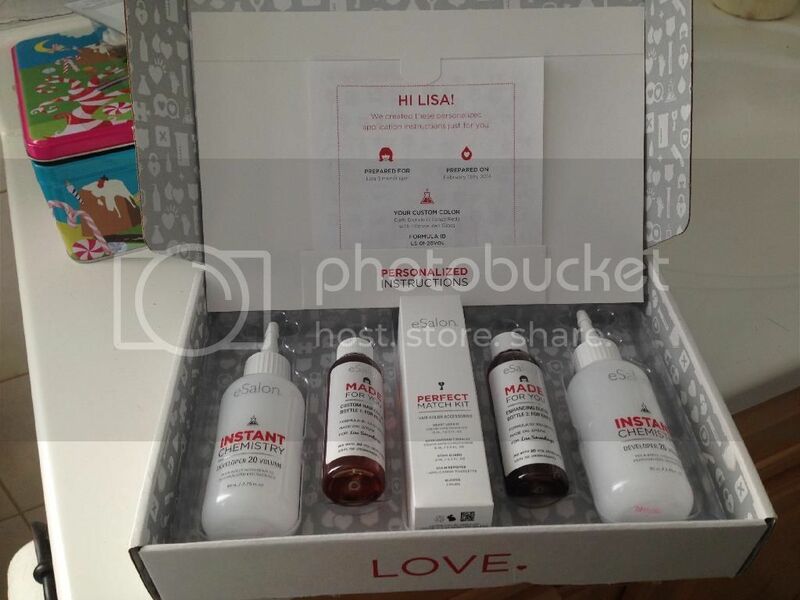 I love this, but boy do I know my roots are bad when a box arrives and I have not used one from the month before! And here we are...no longer a SKUNK! And super shiny! 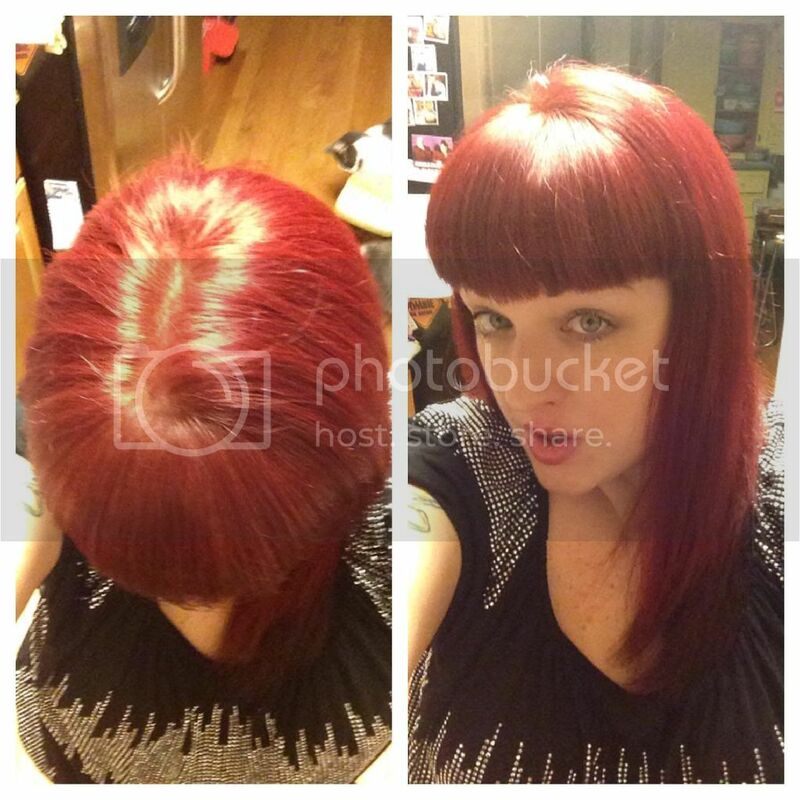 Check out eSalon if you want to budget your color or just make a fun change on your own!